It’s never too late to learn how to swim or to brush up on swimming techniques! The Adult Swimming program provides novices and experienced swimmers with opportunities to improve their confidence and abilities. 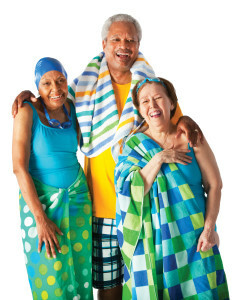 Adults will experience the benefits of swimming as an exercise program and social activity. The aquatics programs at the Y are about more than just the techniques and skills; they are about building friendships, developing self-esteem and creating positive experiences that will last a lifetime. *Private lessons are available. Please ask Member Services for more information.